As FAIR has noted for years, one of the primary ideological functions of US corporate media is to maintain the mythology that the US is a noble protector of democracy and arbiter of human rights. When material facts—like wars of aggression, massive spying regimes, the funding and arming right-wing militias and the propping up of dictators—get in the way of this mythology the response by most pundits is to wave away these inconsistencies (FAIR.org, 2/1/09), ignore them altogether (FAIR.org, 8/31/18) or spin them as Things That Are Actually Good (FAIR.org, 5/31/18). There is, however, another underappreciated trope used to prop up this mythology: that the US political class does bad things, not because bad things serve US imperial interests, but because they’re corrupted by sinister foreign actors. 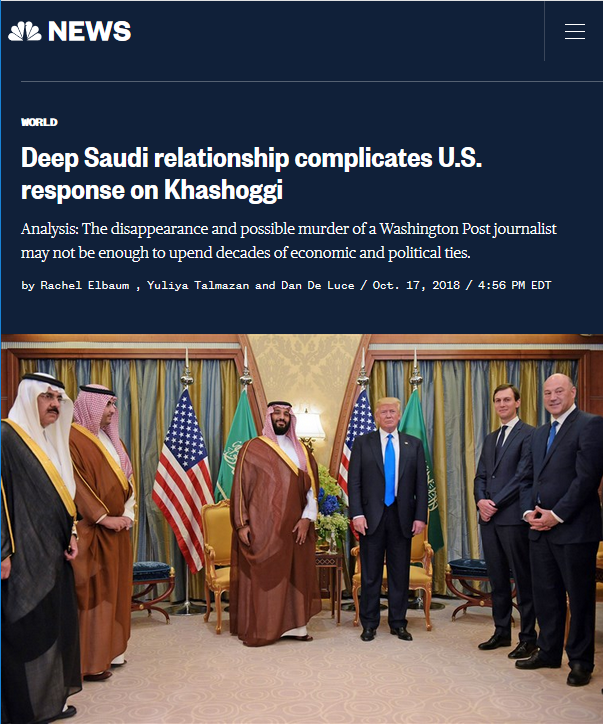 As more information about Washington Post columnist Jamal Khashoggi’s brazen murder at the hands of the Saudi government comes to light, some in the US press are positioning Saudi Arabia as having “corrupted” Washington—as Khashoggi’s own editor lamented on Twitter last week. It’s a reassuring narrative, and one that will likely grow increasingly popular in the coming weeks: The Saudis have “corrupted,” “played” or “captured” an otherwise benevolent, values-based US government. While it’s refreshing that some are starting to challenge the United States’ grotesque alliance with the Saudi theocratic monarchy, it’s important to note that it’s not a product of a foreign boogeyman, but core to the US imperial project. Historically, the US hasn’t embraced despotic regimes despite their oppressive nature, but precisely because of it. Adam Coogle, a Middle East researcher with Human Rights Watch, said the longstanding economic and security ties with Saudi Arabia have forced the US to tolerate a lot of questionable Saudi behavior. Can one imagine NBC News or a Human Rights Watch researcher ever saying, “The longstanding economic and security ties Russia has with Syria have forced Putin to tolerate a lot of questionable behavior from Assad”?  It’s an agency-free, blameless construction, reserved only for the United States. Similar to how the US never chooses to go to war, but is constantly “stumbling” into it (FAIR.org, 6/22/17), Washington always means well, but can’t help engaging in large-scale, highly sophisticated mechanized violence. 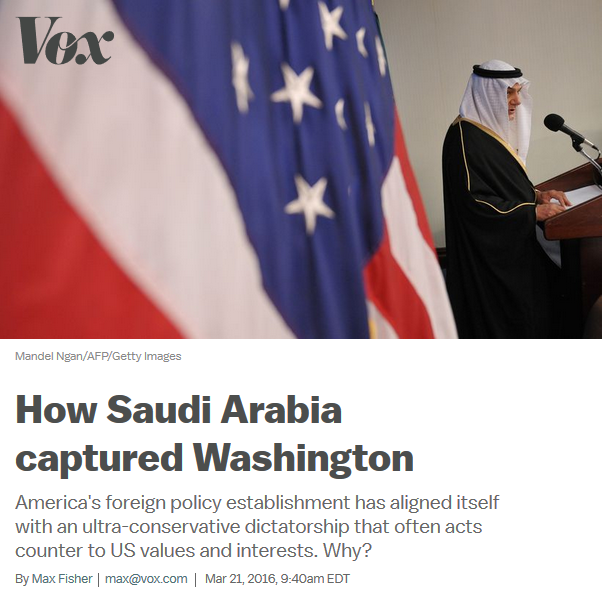 Vox’s Matt Yglesias (10/19/18) joined the revisionism, writing, “The realities of Cold War politics got us involved in deep, long-term cooperation with a Saudi state that is not otherwise a natural partner for the United States.” Never mind that the US/Saudi partnership predates the Cold War by about 15 years, the idea that dictators or sectarian regimes in the Middle East aren’t “natural partners of the United States”—especially during the Cold War—is a total fiction. What explains the Washington consensus in favor of Wahhabist autocrats who often act counter to American values and interests? Some in the Obama administration, based on what they told the Atlantic (and on my own conversations with administration officials), seem to believe the answer is money: that Saudi Arabia and other oil-rich Arab states have purchased loyalty and influence. Obama administration officials who back Saudi crimes and sell them billions in arms aren’t to blame; it’s some nebulous Saudi lobby, Obama administration officials insist, with money that somehow they are powerless to resist. Clearly Saudi money—like pro-Israel money—has influence around the margins (or else, one assumes, they wouldn’t spend it), but the idea that the US wouldn’t be backing violent dictatorships if it wasn’t corrupted by some sinister foreign actor has no historical or empirical basis. US backing of Saudi Arabia predates its current public relations machine by decades, a machine that exists largely to influence the scope and depth of the US/Saudi alliance, not the fact of it. US still provides direct support for Saudi actions that undermine the regional stability America desires, for example by backing the Yemen war against Americans’ better judgment. What Americans? Where? The Obama White House at the time, as Fisher notes in the next paragraph, backed the war entirely. So who are these mysterious Americans whose “judgment” is against the Yemen war? He never says. These good, wholesome Americans who believe in US “values” are somehow never in charge, but are nonetheless always being corrupted by dastardly foreign actors.